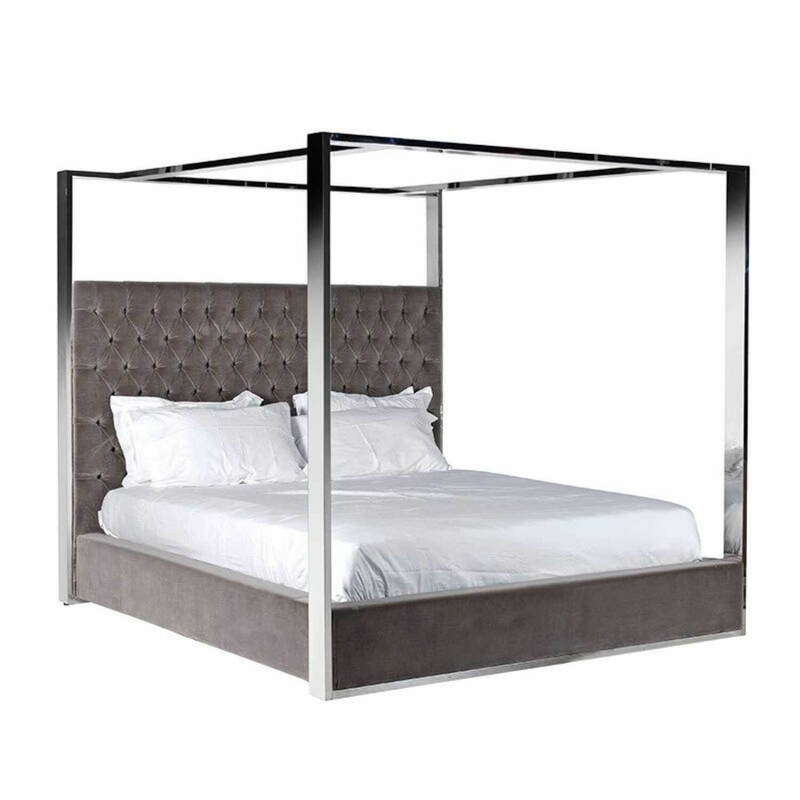 This spectacular Boston super King size four-poster bed would add an instant wow-factor to anyone’s bedroom. 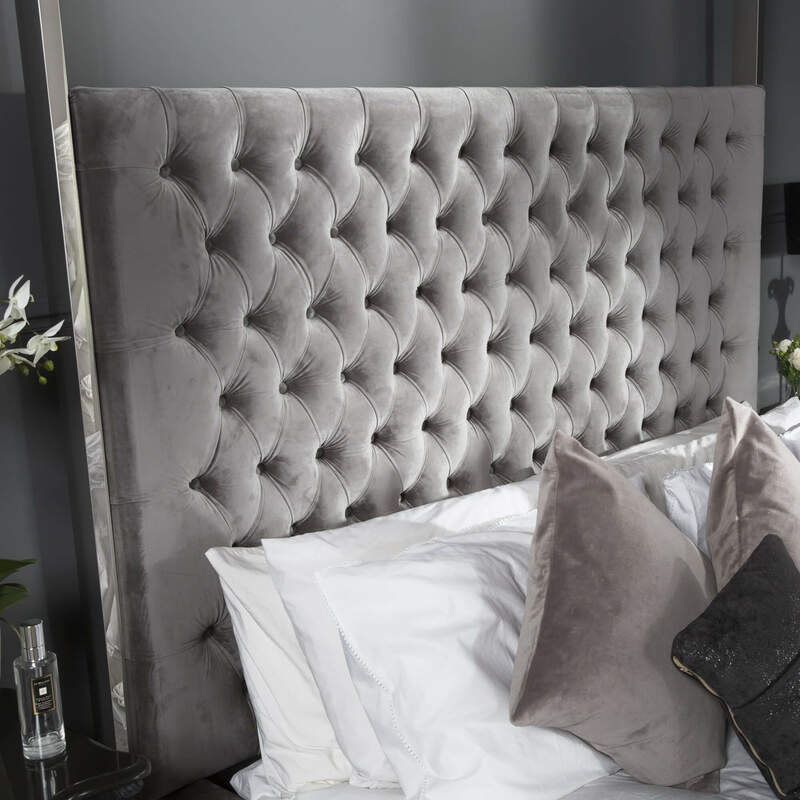 This four poster bed has tall polished silver chrome poster's and is finished in a luxurious deep buttoned brushed velvet headboard. 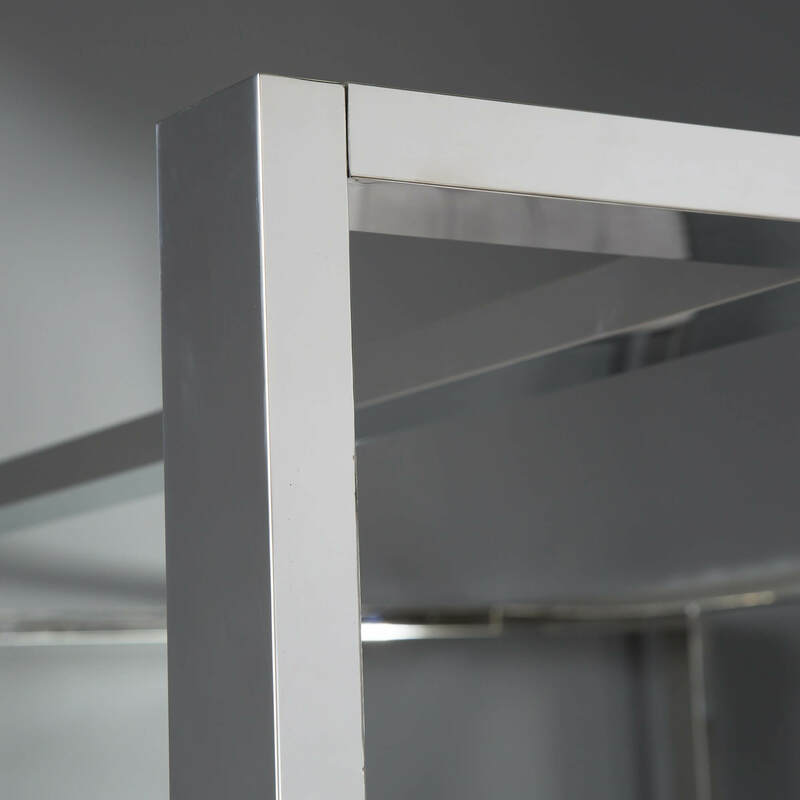 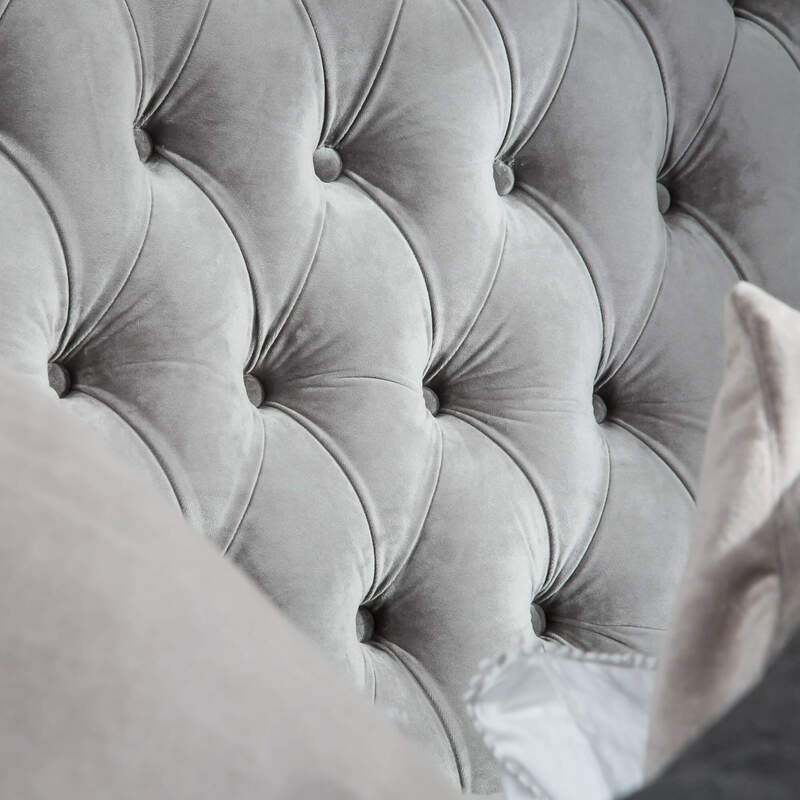 The minimal frame and soft brushed velvet material are perfect for adding a touch of glamour to modern homes. 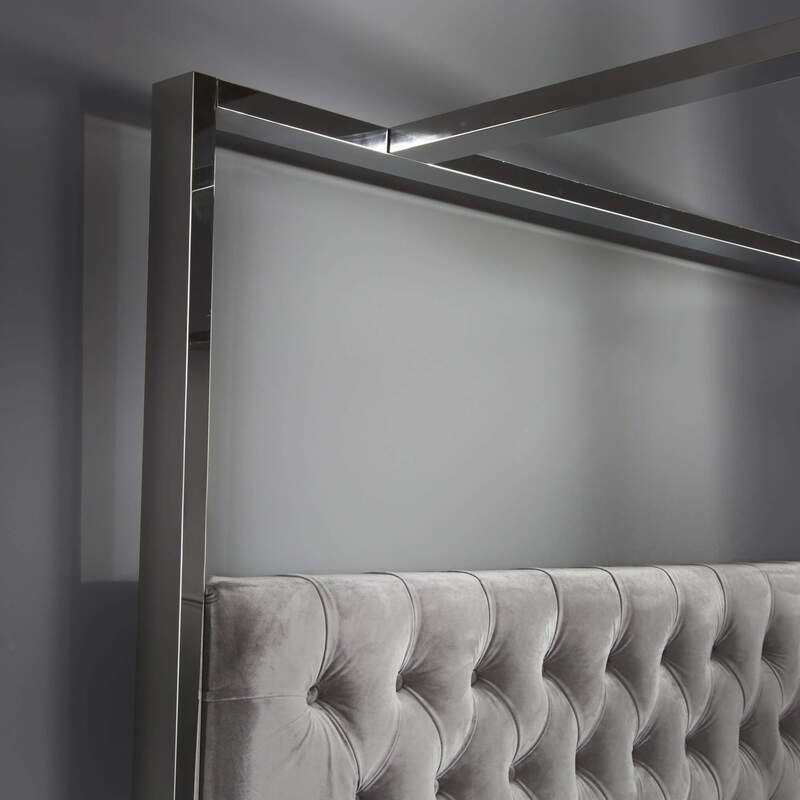 Let the four poster bed be the star of the show by keeping other bedroom furniture to a minimum. 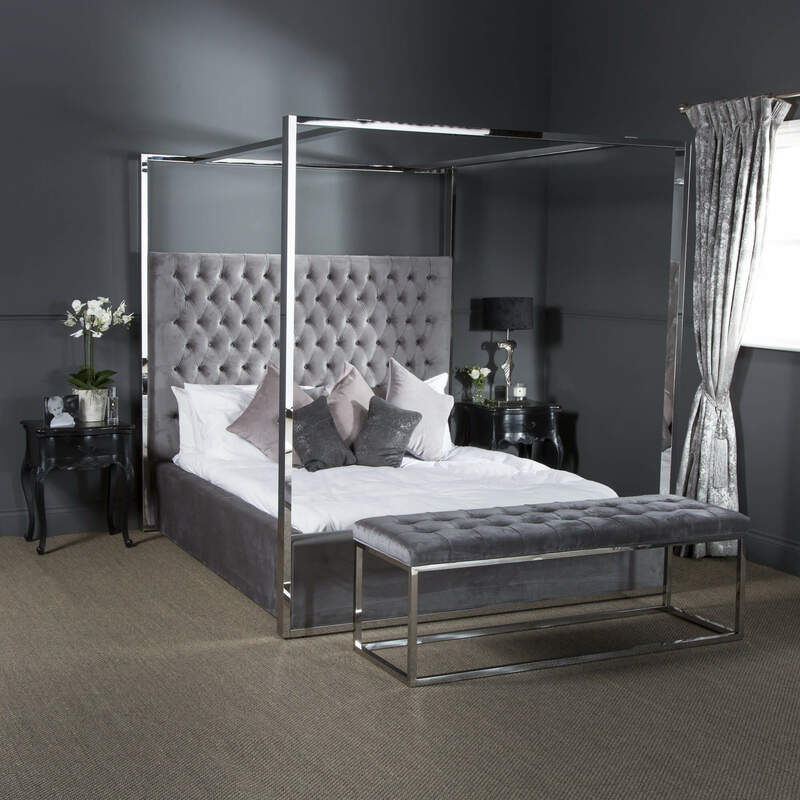 Please note this four poster bed is only for sale, we do have the matching foot stool which is due in stock very soon. 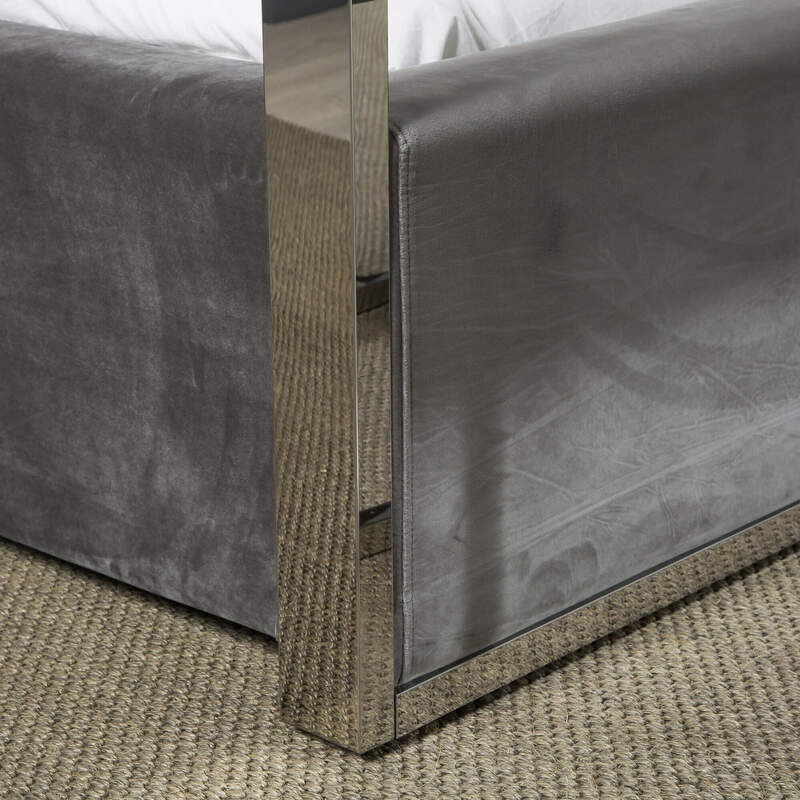 The bed illustrated in this lifestyle shot is a King size bed.